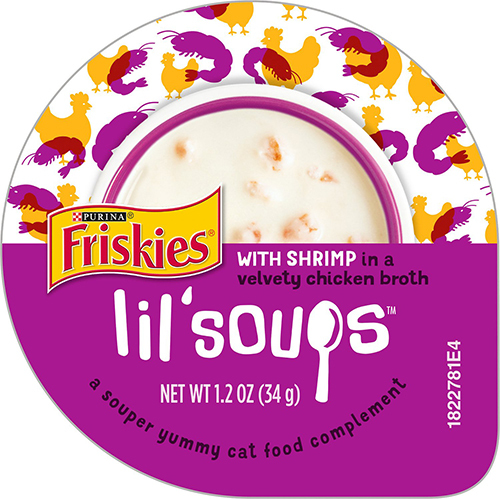 Chewy sent us the Friskies Lil’ Soups to try out this month at no charge. 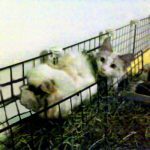 It’s a cat snack – supplemental feeding/topper, what-have-you, but it’s not meant as a complete meal. 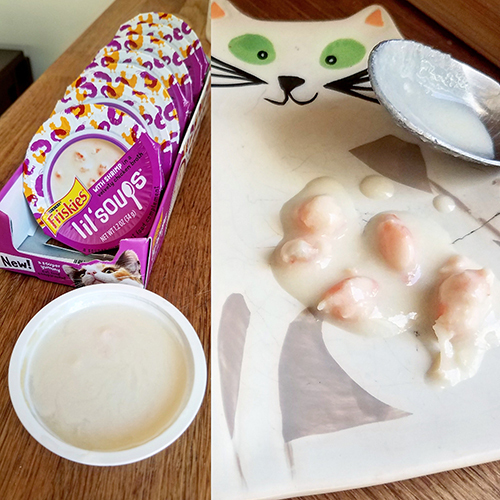 The girls don’t usually like fish, so we chose the Shrimp in Velvety Chicken Broth, because sometimes shrimp and crabs are still okay with Princess Yue Pants. It went over very well. The boys went nuts for it. They’re only fifteen calories, so YES, I let the boys share them. Stewart had a bad day a week or so ago with sinus pressure and he didn’t want to eat much, so his dad insisted I give him this to stimulate his thirst drive, instead of his dehydrated treats. The 1.2 oz cup is very favorable so that you can’t end up with a snarf and barf. All orders $49+ ship free within 1-2 days.